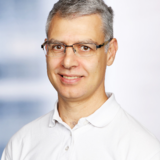 Nicolas Frankel is a Developer Advocate with 15+ years experience consulting for many different customers, in a wide range of contexts (such as telecoms, banking, insurances, large retail and public sector). Usually working on Java/Java EE and Spring technologies, but with narrower interests like Software Quality, Build Processes and Rich Internet Applications. Currently working for Exoscale. Also double as a teacher in universities and higher education schools, a trainer and triples as a book author.